This post is adapted from a UNIGIS u_Lecture webinar I gave earlier this year. It’s a simple statement, but to me a very useful one. When I set out to assemble the talk upon which this blog post is based, I hadn’t realized how many of my thoughts about doing good design can be boiled down to those three words. I’d picked it as the title for my presentation, well before I had any actual content. But as I began to assemble coherent thoughts to go along with the title, I realized that it’s a pretty good summary of where my thoughts are at right now, as well as a refinement of statements I’ve made in the past (on this blog, in presentations at NACIS in 2013 and 2011, and in the classroom). Design is making decisions in order to reach a goal. It’s simple, and very broad. You have something you want to get done, and then you use your knowledge and experience to figure out how to accomplish it. It’s also an empowering definition, because it means that we are all designers. We design all the time in our daily lives. Here’s a trivial example: I’m hungry. My goal is to be not-hungry. So, I decide that I will fix some food and eat it. Once I act on that plan, I’ll stop being hungry, by design. It’s a silly example, but it illustrates just how much design we all do every day. We’re constantly planning and making choices based on the way we want the world to be. Design is natural to humans, and our ability to make these sorts of plans is one of the things that separates us from most of the rest of the animal kingdom. This is something I try and hammer home in the classroom, and which bears repeating: we are all designers. It’s easy to become discouraged or overwhelmed when we see beautifully-designed maps, furniture, or other objects, and to think that the ability to design is out of reach, reserved for a special group of people with appropriate job titles. So it’s important to me to spread this empowering definition, and to remind everyone, student or otherwise, that design is human — it’s something we do naturally. The map is built upon a series of good decisions. He wanted to show the movement of drugs, so he made the decision to use arrows. He wanted to present a serious subject in an appropriate mood, so he chose a dark background. He wanted us to understand what the color meant, so he included a legend. And it goes on and on, with hundreds of decisions going into the map. Many are obvious, and some we might disagree with, but we can still boil much of the map down to choices that were made in service of a final goal. What separates someone who can make a map like this from someone who can’t is the knowledge and experience informing those choices. It’s not some inability to design. Making a map is just like making breakfast, except with different goals, options, skill sets, and resources. So, completely different. Except for the design part; that’s the same. The top map is of the tributaries of the Mississippi River, and the other is of noise predictions for a wind farm (previously seen on Cartastrophe). They’re both a mess, and neither give a feeling like there’s a human behind them. When we fail to design, we produce something that lacks thought, and our readers detect this. If a map is a medium of communication between humans, these ones feel like there’s not a person on the other end. We look at them and think: “What human would make such decisions? There must be no one there.” The result is what I call uncanny cartography. There’s no doubting that a lot of thought went into it. I can immediately perceive that an intelligent being created it, in a way that’s not so apparent with the uncanny maps above. I get a sense of another person (or persons) with an aesthetic taste and preferred style. It feels more comfortable to interact with, because I’m in dialogue with another human, not a mysterious map-producing algorithm that I can’t empathize with or understand. We also fail to think, and therefore design, when we rely upon defaults. Software defaults are the antithesis of design. Our word processors start with a default typeface and font size. When we open a GIS program and load in a shapefile, our polygons get styled in a pre-set semi-random color. This is, by and large, a useful thing — it would be an annoying chore if we had to set our display parameters before we were allowed to see the data we’re loading in. But these defaults are not design. Defaults are not choices. I didn’t choose the pink color for the land above, nor the purple rivers. The software made the choice, and the software doesn’t have my specific goals in mind when it picks colors or line weights or whatever. Therefore, by our simple definition, defaults are not design. Some software engineer years ago and thousands of miles away made a guess as to what your goals might be, but they’re pretty likely to miss. To accept a default, without thinking, is to abdicate our responsibility to design. Again, defaults are not evil. They are useful, but we fail to design when we don’t think about them. Smarter defaults are great; it would be wonderful if I had software that always made good guesses about what I wanted to do, and put together a great-looking map without much input. But I would still need to look over what it’s done, think about if those choices align with my goals, and then accept them. Default becomes design only once you’ve given that human nod of approval. Remember that the software is a tool. It should ease our labor, not our creativity. To rely on a default, or otherwise not think about our work, is to fail to design, and to create a product which lacks humanity. This is the second way in which design is human: it requires a human on the generating end, because design expresses humanity. When there is no design, there is no humanity. And that produces alienating works that no one wants to engage with (and if you want to communicate with a map, you’ve wasted your time if no one wants to look at it long enough to learn your message). There’s a strong sense of a person on the other end, not a set of automated defaults. 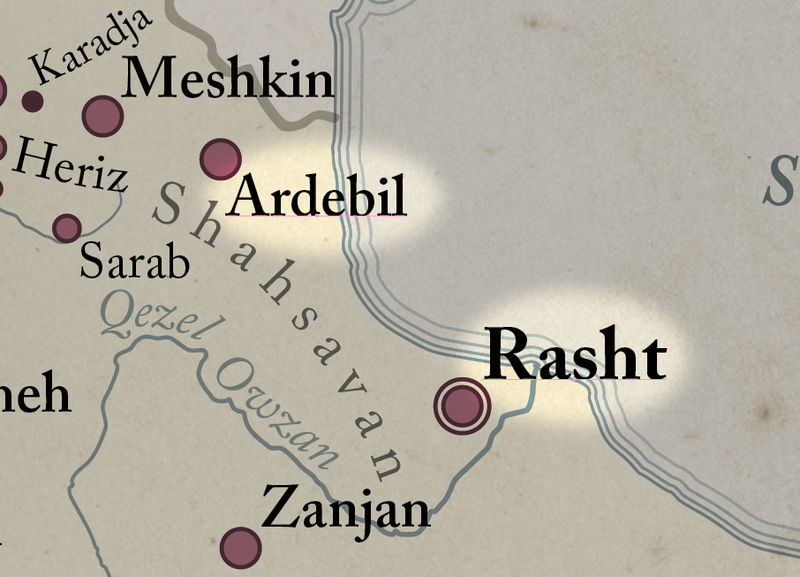 But what’s also interesting to me are the non-informational parts of the map. The surfer, the palm trees, the brush strokes, etc. 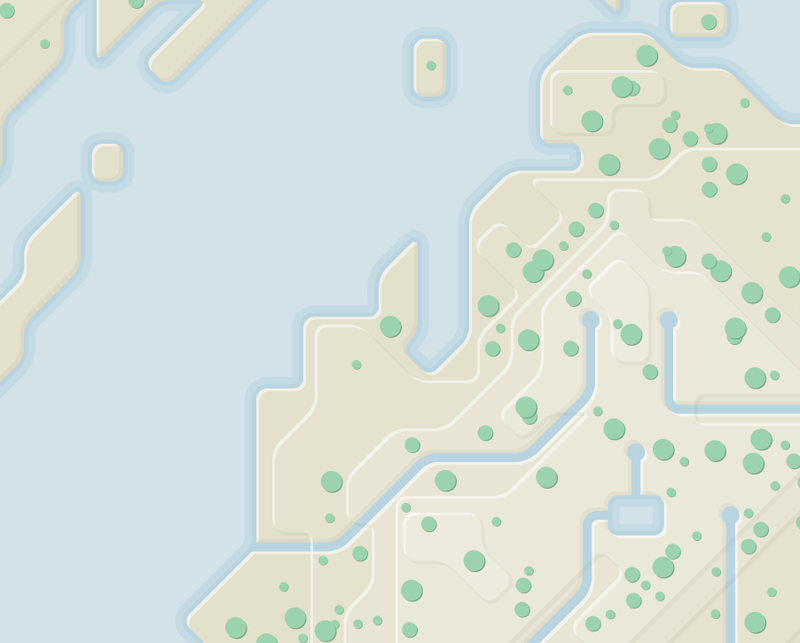 The parts of the map that don’t really tell you any geographic information. What’s the point of including them? They appeal to the senses, and they entertain. Doing good design requires paying attention not only to what is necessary, but also what is unnecessary-yet-pleasing. This is something Don Norman talks about in his book Emotional Design. Another day at the office for Dave Scott. 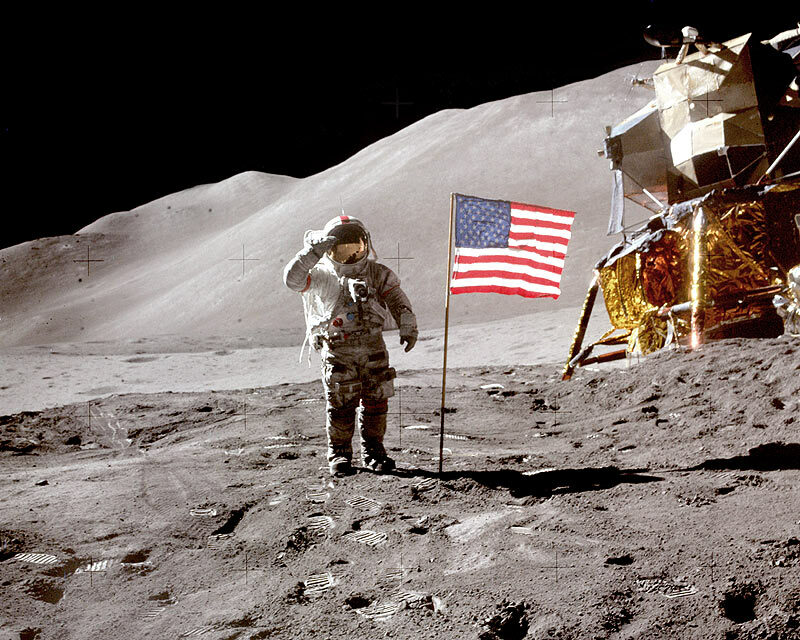 Project Apollo is arguably the most amazing thing people have ever done, and it was quite unnecessary. It didn’t reduce poverty or violence or deal with any other crisis. It was about taking awesome pictures (to grossly oversimplify it). And it cannot be explained without understanding what is beautiful about humanity: that we are not driven solely by instinctual necessities of food, shelter, and reproduction. We find the purely functional to be unsatisfying. Both maps have the necessary information — trails, campsites, amenities, terrain, etc. But one of them stops after telling you what you need to know, while the other one goes well beyond that to paint a beautiful, satisfying picture of the landscape. Which place do you want visit? Remember these are representations; neither landscape really looks like that. But aesthetics matter, and they influence our perceptions of these places we’ve never been. Design without appeal to human aesthetic and emotional senses is frequently empty. To design maps for a human audience, therefore, means not simply encoding data. It means paying attention to the palm trees. This is the third way in which design is human: design requires understanding humans, and their taste for unnecessary, but satisfying, extras. So there you go. Design is natural to humans, requires a human at the originating end, and works best when we remember there’s also an irrational human at the receiving end. Three thoughts about design, which I happened to be able to conveniently wedge under the title of “Design is Human.” I do not argue it’s the ideal structure to place them in (the third one doesn’t cleanly tie into the definition I gave), but it works well enough for now. Please feel free to take these thoughts and refine/remix them into a coherent view that satisfies you. Continuing my trend of recording tips & tricks that I am commonly asked about, I thought I’d share my method for creating type knockouts in Adobe Illustrator (please note that I have no idea if that’s a proper use of the term, nor do I know what other people call them). In the above image, the situation at left happens all the time. You’ve got some type on the map, but it’s hard to read because all of the other stuff on the map is getting in the way. 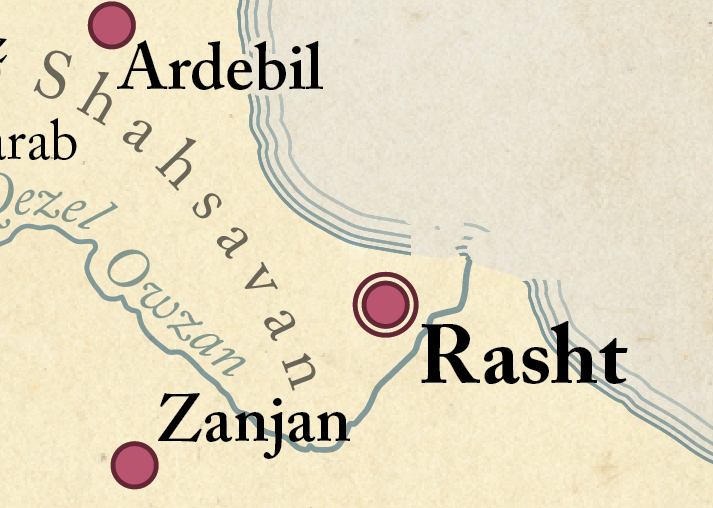 The solution, on the right, is to selectively erase bits of the map in order to make the type more legible. There are a few ways of going about this, each of which has some limitations (including the one I’m going to show you). Two common solutions are deleting linework and adding halos. The problem with the former is that it’s destructive. If you move the label and want to put that linework back, you’re out of luck — it’s gone (though you could keep it backed up in a separate layer, or pull it from an older file, but these are time-consuming). Instead, you could try adding a halo. It’s a great idea when the type sits on just one color, but it doesn’t work if a label has multiple background colors. In Illustrator, we can make objects more or less transparent. When they are completely transparent, they become invisible. But, it also lets us make parts of objects transparent as well. And that’s what we’re going to do. We’ll make just pieces of those map lines completely transparent, so that they are still there (in case we ever need them again), but cannot be seen. To do that, we need to use opacity masking, which is a way of telling Illustrator how transparent to make things. The terminology gets a bit confusing here, as Illustrator has two ways of describing the same thing. Objects can have varying transparency (how see-through they are), which is sometimes instead called opacity (how not-see-through they are). Both words get at the same idea, just from opposite perspectives. So, let’s set up an opacity mask, and I’ll explain as we go along what it is and how it works. To start, we need to first select the map labels that are hard to read, the ones that need the features underneath to disappear. Copy those to the clipboard with Cmd-C (or Ctrl-C, if you happen to be on a PC for some reason; mentally replace “Cmd” with “Ctrl” for the rest of this tutorial and you’ll be fine). We’ll make use of them in a while. 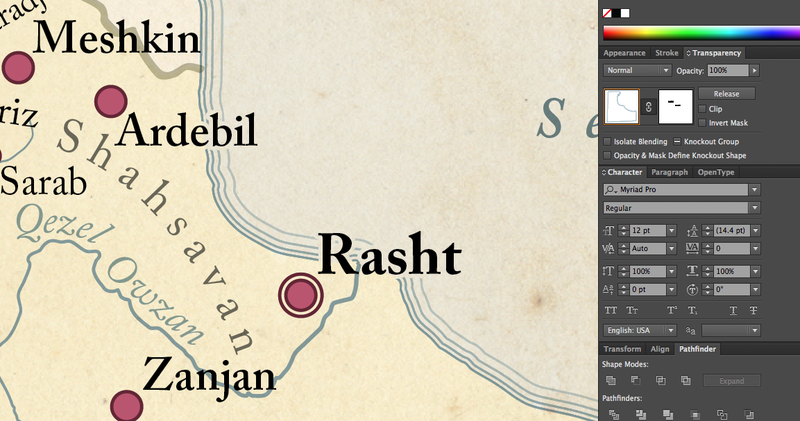 Now, find a layer of map features that needs to be knocked out, then select its appearance. That means clicking the little circle next to the layer name. This tells Illustrator you want to do something to affect how the whole layer looks. Like, for example, changing its transparency. Now open up the Transparency panel. Notice that there are a couple of little squares that appear in the panel (if you don’t see them, click on the icon in the upper-right of the panel and select “Show Options”). The one on the left shows a little preview of everything in the layer. The one on the right is greyed out and usually marked with something like a symbol for “nothing going on here,” depending on your version of Illustrator. If you have an older version, there won’t be a square on the right at all, just an empty space — this is fine. All the things I’m describing exist in the last several Illustrator versions, but they may look a little different. Double-click on the square on the right, or click “Make Mask.” Unless you’ve messed with some defaults, you’ll see the square on the right turn black, a box marked “Clip” will get checked, and all the artwork in the layer will disappear. You’ve just created an opacity mask. Here’s how it works: this is a special kind of layer, which exists parallel to your “real” Illustrator layer, and which tells Illustrator to make certain parts of the real layer transparent or not. If part of your opacity mask is black, that tells Illustrator to make the corresponding part of the real layer invisible. 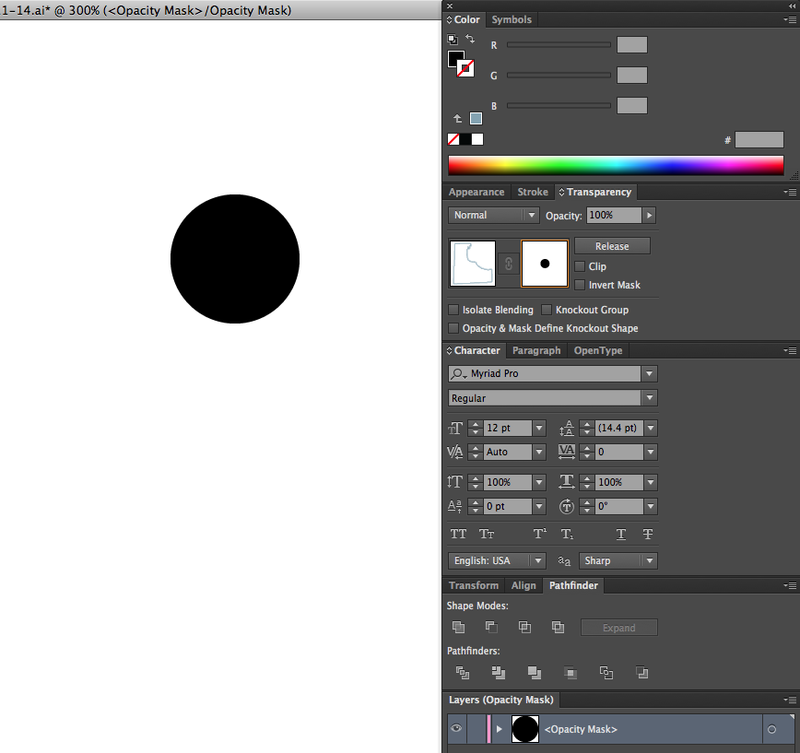 If a part of your opacity mask is white, the corresponding part of the real layer is given no transparency. And you can go in-between: if you put some grey in your opacity mask, it makes the corresponding part of the real layer partially, but not fully, transparent. Alt-click on the opacity mask (the square on the right). Now, your map disappears and you’re taken into the mask, which is currently empty. Now to draw a black circle, and put it in a spot where there’s some artwork in the real layer. Notice, on the transparency panel, you can now see that black circle appear in the preview on the right. Next, let’s Alt-click on the square on the left of the Transparency panel. This takes you back to your real layer. You can Alt-click on these two squares on the Transparency panel to alternate between the layer and its mask. When you return to the layer, notice that part of your artwork has been made invisible, exactly where you drew the circle. The black circle in the opacity mask is telling Illustrator to make the corresponding area in the layer 100% transparent, meaning invisible. Alt-click on the opacity mask to go back to it, and delete the circle. Now, you could painstakingly draw little black circles or boxes everywhere you want to hide the linework, but that’s kind of annoying. Instead, let’s do this smarter. Remember those labels you put on the clipboard? Let’s use those. Paste them in place using Cmd-Shift-V. This is different from pasting with Cmd-V. Pasting in place makes sure the labels appear in exactly the same position as they were when you copied them, so that these labels you’re pasting in will line up exactly with the real labels. Now, Alt-click out of the mask. You’re done! Your linework on this layer is now knocked out. The opacity mask has black areas, in the shape of your labels, plus a little extra (from the stroke you gave them), and that means your linework has turned invisible in the area of those labels, plus a little beyond. 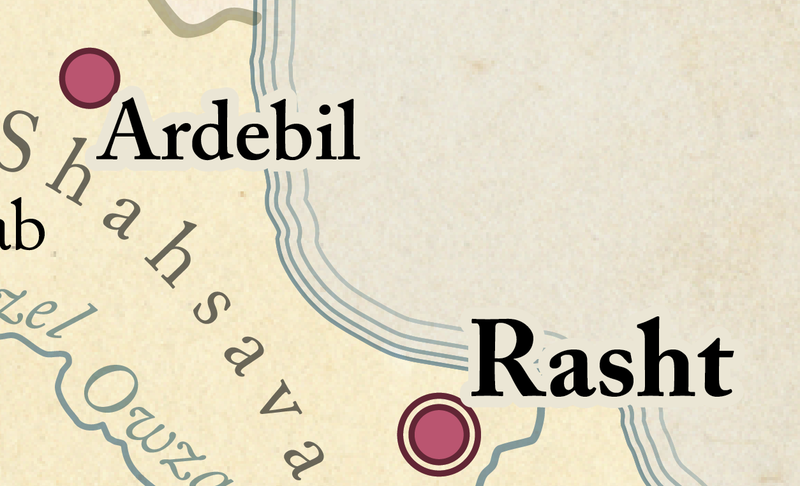 It’s important to understand that you now have two copies of these labels — the real ones in your map, and a separate copy in the opacity mask. 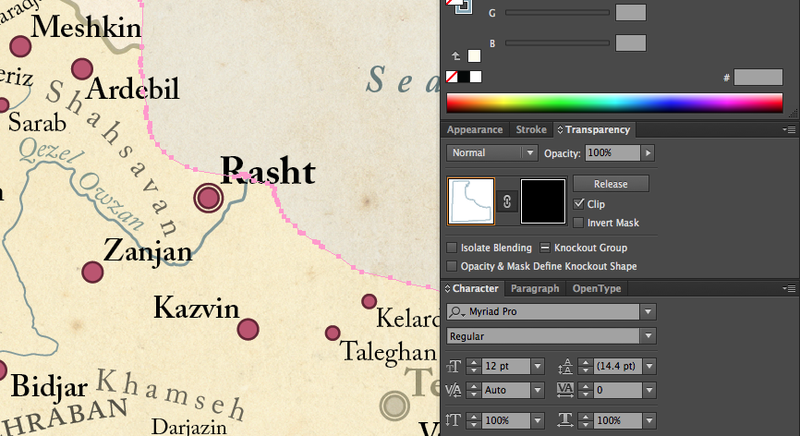 If you move a label in the map, the copy in the opacity mask doesn’t change. You’ll have to re-do it. This is a similar problem to having to fix things if you were deleting linework, but it’s a little less hassle to fix and it’s non-destructive. Also note that you’ll have to repeat this process for each layer of artwork you want to knock out. If you want to work a little more efficiently, you can actually draw/copy/paste/etc. inside the opacity mask while still viewing the art layer. Instead of Alt-clicking to go into the opacity mask, just plain click on it. You’re now editing the contents of the mask, but you’re seeing the layer. So, if you can keep them mentally separate, it’s a nice way to see how you’re affecting your art while working in the mask. Yes, I definitely mixed up Illinois and Indiana in this screenshot, but worry not, the final map ended up being correct. 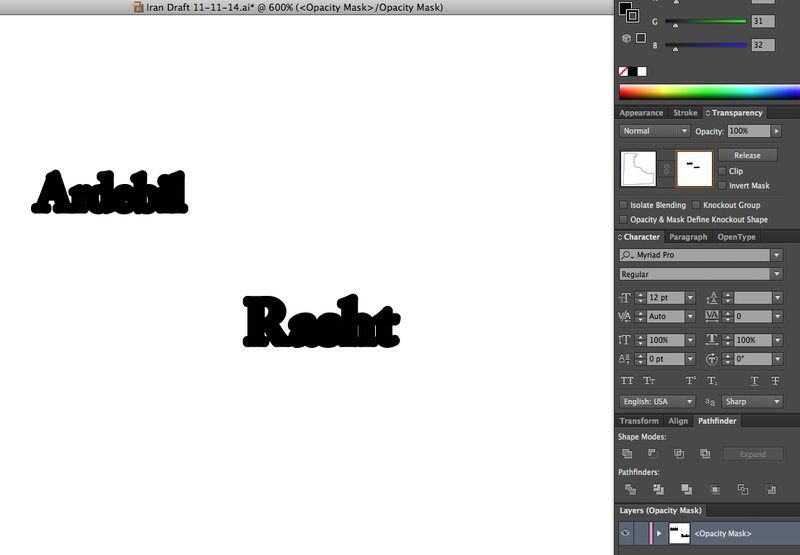 Here, I set an opacity mask with a copy of my type, but I didn’t make it black. Instead, I made it grey, which tells Illustrator to make the art only partially transparent. The darker the grey, the more transparent, until you get to black, which is 100% transparent. Finally, in case you were curious about the “Clip” checkbox, that just tells Illustrator to set any areas of the opacity mask where you didn’t draw artwork to black. So, at the beginning, when we made the mask, there was no artwork in the mask, and so everything was turned to black. If we’d drawn a white circle in the mask with the “Clip” box checked, the circle would stay white, and everything around the circle would remain black. 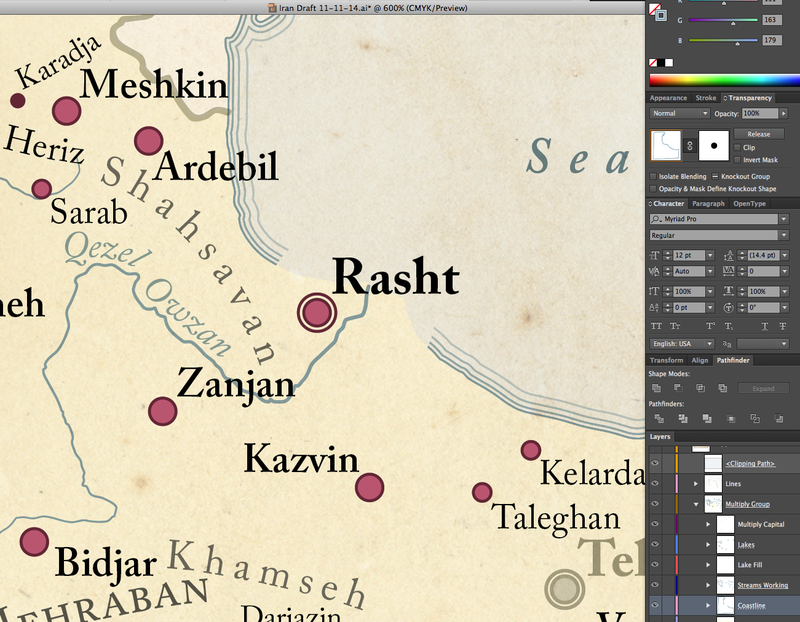 So, that’s opacity masking for type knockouts. It’s not a perfect solution, but I find it pretty workable, and it’s pretty quick once you get used to it. Hope this writeup helps! Since at least the time I started my river maps project, I’ve been interested in presenting the natural world in a more stylized visual language. It started with just rivers, but I’ve also been working on-and-off for the last couple of years on a map that also tackled terrain and vegetation. So, here it is. My beloved homeland of Michigan, in a highly generalized and stylized form. Click to purchase a 36″ × 32″ print! I’ve straightened everything out into 45º angles, and used Tanaka lines to show the elevation. The green dots are actually based on land cover data. I’ve made them kind of sparse so that the rivers can be seen. File this one under, “stuff I spent a lot of time making, and now don’t know what to do with.” The best I could think of doing was blatantly commercializing it by sticking that “buy” button up there. But, you can also just download the PDF above for free, which I hereby release under a Creative Commons Attribution-NonCommercial-ShareAlike 4.0 International license. Note that in-browser PDF viewers may make the colors look pretty washed out. I think of this project, along with my river maps, as fitting under an idea I call “natural modernism,” in which the natural world is presented in the same sort of highly-abstracted, geometrically-precise visual language that we often apply to the constructed world on maps. Think of metro systems, rectangular street grids, perfectly circular dots representing locations of cities, etc. When it comes to nature, though, we usually embrace the organic and chaotic shapes that it holds. This is probably a good idea, and I don’t propose that natural modernism become some sort of standard practice. It’s a fun way to look at things, though, and I find, increasingly, that a lot of my work boils down to presenting things in new and unusual ways.